Portfolio Realty Group distinguishes them selves as sophisticated industry leaders with a founding philosophy for redefining personal service while meeting the individual needs of each client. Our company is comprised of leading real estate professionals with industry acumen honed by working in the ever-changing market. We understand how decisions today affect the value of your investment tomorrow. Our firm is committed to providing our discriminating clientele with the best in industry service, outstanding client representation, detailed market knowledge and unparalleled marketing programs. Specializing in the marketing and sale of luxury homes and international properties, we are committed to creating superior investment value by bringing considerable market knowledge and experience to each successful real estate transaction. Portfolio Realty Group has many unique tools and options available to assist you in buying or selling luxury properties which include the resources of our broad national and international relationships. Representing a portfolio of properties comprising of luxury residences, custom estate lots, Resort Villas, and distinctive properties worldwide. Jackie Bustios and her associates serve a distinguished clientele with market knowledge, personal service, integrity, honesty, and a commitment to building enduring relationships. Together they bring a powerful and diverse range of resources to the firm. Chosen for their professional accomplishments as well as discerning ethics in the marketing, purchase and sale of luxury real estate. This unique and dynamic combination of success offers the ultimate resources for all of your Real Estate needs. Recognized as a top producer in Las Vegas, Jackie Bustios, specializes in the sale and marketing of luxury residences, estates and custom homesites. She has experienced tremendous success for her clients. Selling more than $200 million in real estate is a testament to Jackie's knowledge, determination and commitment to helping her clients find the perfect solution to their residential real estate needs. 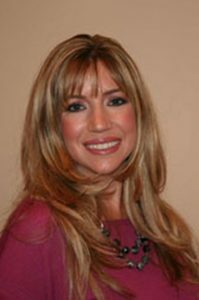 In addition to being the Founding member of Portfolio Realty Group, her diversified 20-year career in real estate includes a title and escrow background as well as marketing and selling properties in Southern Highlands, Queensridge, Summerlin and the Las Vegas Valley. Driven by a dedication to high-quality service, along with her experience and knowledge of the market, Jackie is committed to meeting and exceeding her clients' expectations and reaching their goals. With over five successful years in real estate, Buyers and Sellers can trust Alexia to provide honesty, hard work and great customer service. Alexia utilizes the latest in cutting edge technology and market research to make your decision making process as seamless as possible. 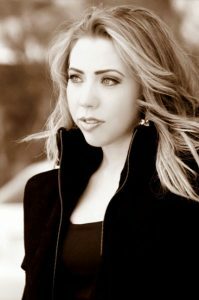 Currently attending UNLV, an extensive background in the promoting industry and her professionalism in dealing with high profile clientele makes her uniquely positioned for the luxury real estate business.